*sent for review* I have two lovely Lynnderellas for you today. Let's start with a polish made in honor of the lunar new year, Lynnderella New Year, New Ewe. 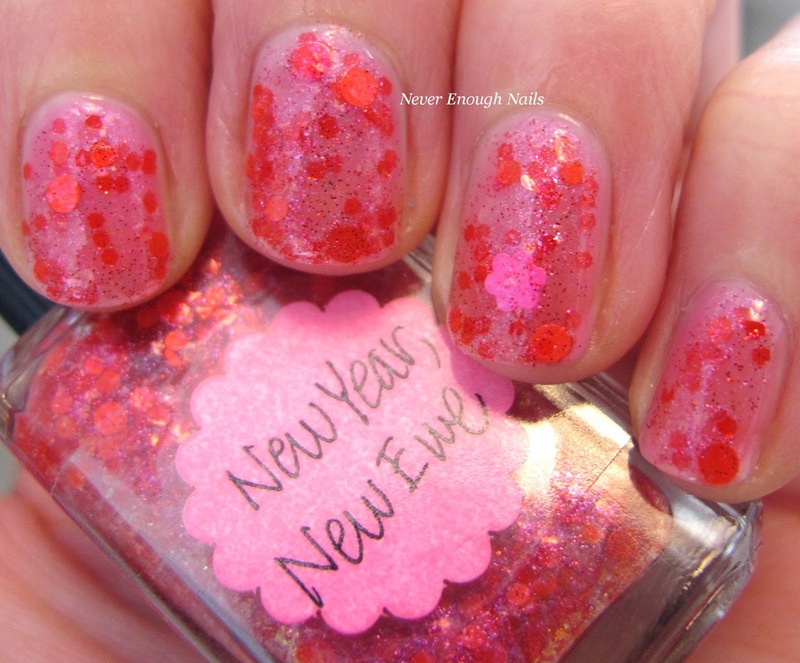 New Year, New Ewe has an assortment of red and pink glitters in a really pretty pink shimmered base. 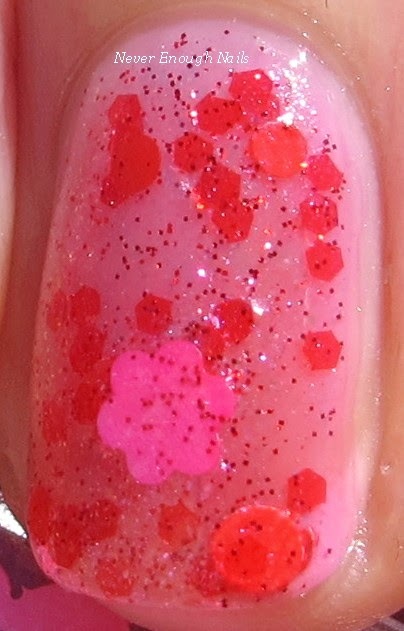 The mix of pink and red is lovely and more complex than a 100% red glitter topper. 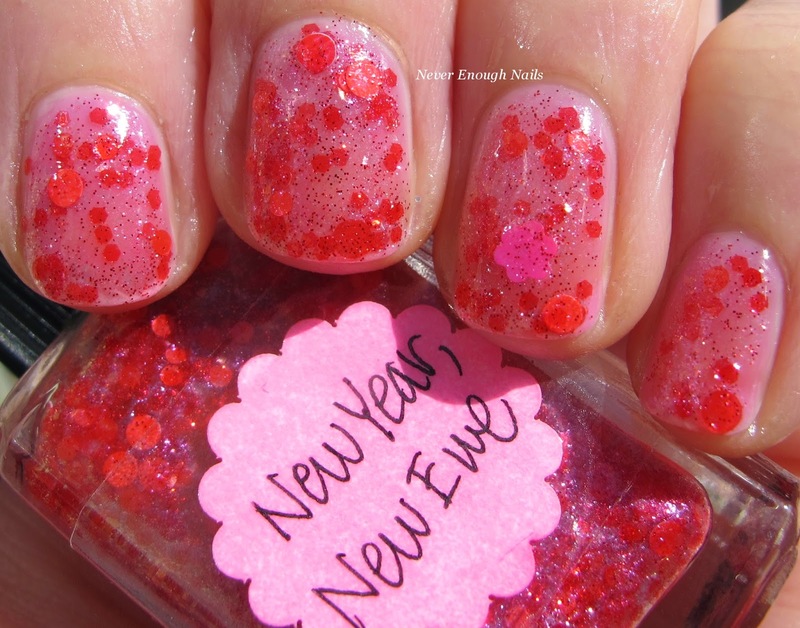 Lynnderella says New Year, New Ewe has clear red glitter and nearly neon red glitter, as well as pink glitters. This was easy to apply, I used just one coat over three coats of OPI Be Magentale With Me (one of the Sheer Tints). The glitters in New Year, New Ewe are plentiful and I didn't need to go fishing for any of the larger pieces. The base was a perfect consistency, not too thick or too thin. 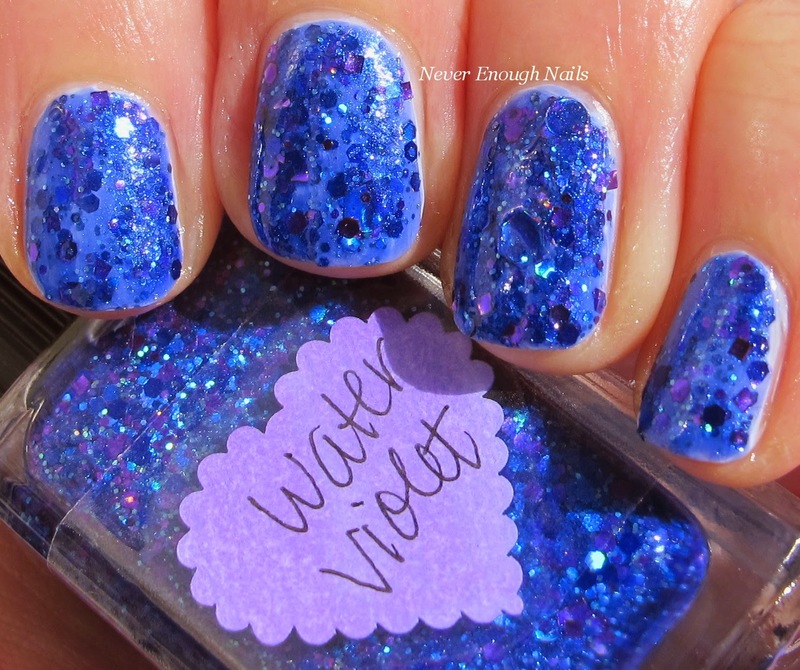 Lynnderella Water Violet is a gorgeous mix of bright blue and violet glitters in a violet jelly base. Now, Lynnderella does say in her description that no two bottles are alike, but I found that my bottle had a very pigmented violet base. The glitters really glow in this, they are very vibrant. Some of the purple glitters appear more pinky too, so it's a very complex look in the end. I originally thought I would have to layer this, so I used one coat of China Glaze Agent Lavender as a base. 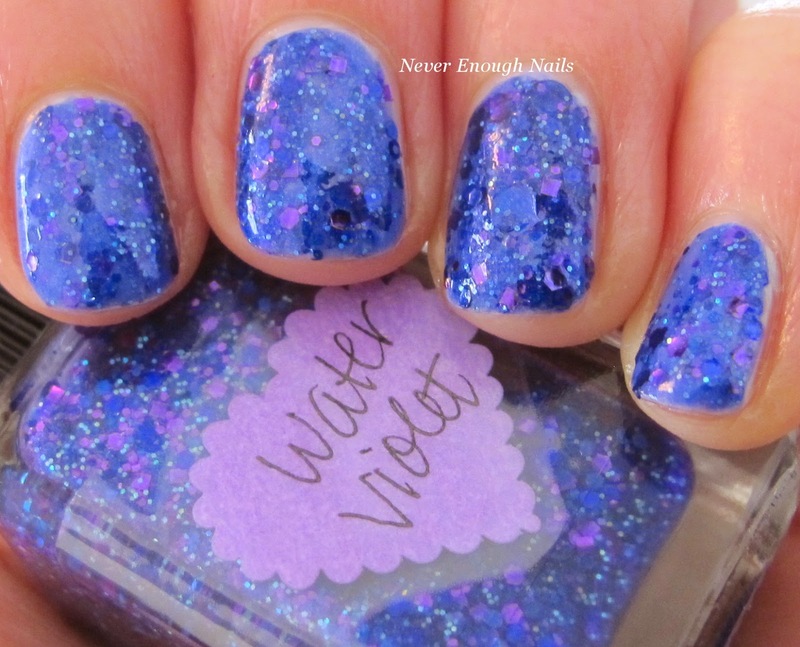 However, my Water Violet does have a very pigmented violet base, so three coats of this alone would be nicely opaque. It was a little tricky to get the base color to be nicely even, while also spreading the glitter around evenly. I would recommend concentrating on getting the base even in the first coat and then focusing on the glitter. *sent for review* These two pretties are LE, so check Lynnderella.com and Lynnderella.storenvy.com for them to pop up! I know Lynnderella has a spring collection coming up, called Spring Things, so keep an eye on Lynnderella-Lynnderella.blogspot.com for news about that!